Nottingham Forest have secured the services of defender Joel Lynch on loan until the end of the season. The 21-year-old joined the club in September and has since made 13 appearances for the Reds. Lynch picked up a hamstring injury on Boxing Day and missed Forest's 3-2 victory at Norwich on Sunday. 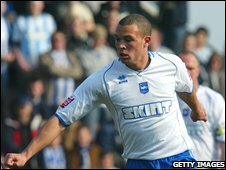 The defender, who can play in the centre or at left-back, began his career with Brighton. It is his first spell away from the Withdean Stadium.